Pet Emergency? Call us right away at (207) 225-2155! Our veterinary team is dedicated to best serving the needs of your beloved pets, with an emphasis on up-to-date medical and surgical practices delivered in a friendly, caring style. 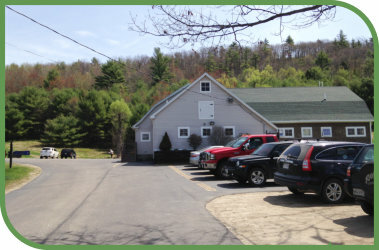 Our veterinarians have a combined forty years of clinical experience, and our support staff is the best in the state at assisting our doctors and educating you in the care of your pets. In addition to modern diagnostic equipment such as digital X-ray and high speed dental equipment, we simply love animals and love what we do! Come meet our friendly staff and let us meet your companion animal veterinary needs. The Doctors and Staff of Turner Veterinary Service recently celebrated the transfer of ownership of the practice from Dr. Becky Myers (Law) to Dr. Nancy Derocher. The staff honored Dr. Myers on her retirement with gifts and stories of the past 30 years of her veterinary career, primarily in large animal practice and more recently in the small animal clinic setting. All of the current staff and doctors are staying on and looking forward to continuing to serve the community with the same level of care and compassion as always. Dr. Derocher has been in practice at TVS for the past year, after working as an associate for 5 years at Norway Veterinary Hospital. At Turner Veterinary Service, we treat your pets like the valued family members they are.